Fancy-footed felines, a kid band that can roll with surprise visits from music icons and that masked man—they're all currently rocking the Great White Way thanks to seven-time Tony winner Andrew Lloyd Webber. Following the return of his iconic 1983 tuner Cats on July 31, the music maker and producer once again marks three hit musicals simultaneously running on the Main Stem. School of Rock, which is playing at the Winter Garden, nabbed four Tony nominations in 2016, while The Phantom of the Opera continues to make audiences fall in love 28 years later at the Majestic. 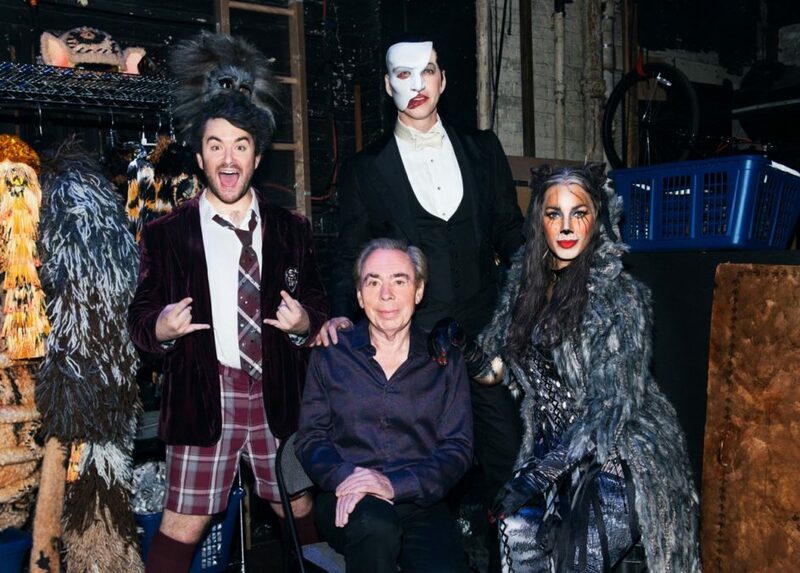 The stars of Lloyd Webber's works, including Great White Way trailblazer Alex Brightman, angel of music James Barbour and glam pop pussycat Leona Lewis, recently snapped a pic with the mastermind, showcasing his legacy and knack for amplifying diverse and delightful stories on the stage. Here's to you, Andrew Lloyd Webber!